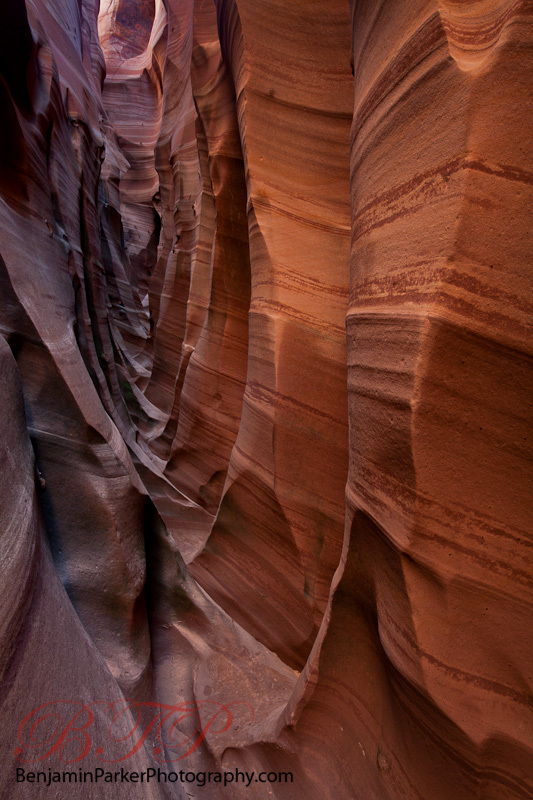 This is Zebra slot - a canyon in Escalante National Monument. Entering the canyon entails slogging through a narrow 30 yard slot, in chilly waist-high stagnant water - not much fun - especially with a pack of gear. But, the destination is worth it! Anyways, I'm heading back to canyon country to catch the cottonwoods turn fall color. Have a great week!